It may be cold out there, but it’s time to talk–and shop–Derby. And there’s no better place to do it than at the Pearls & Pumps Fashion at The Marriott Downtown. There’s no better cure for the end-of-winter blues than a wildly upbeat fashion show filled with fabulous looks for Derby and beyond. 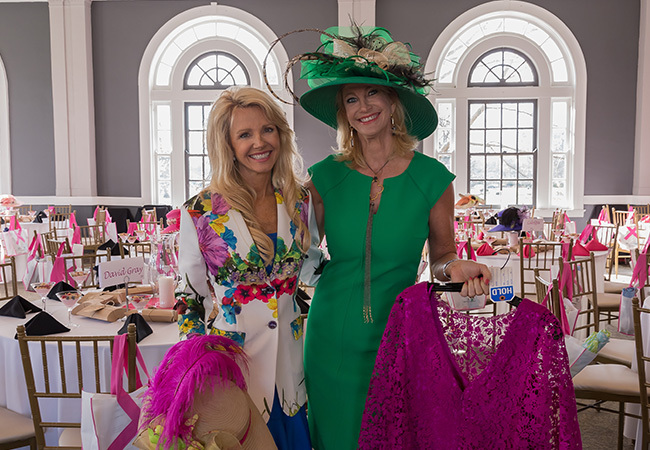 The annual Baptist Health fashion fundraiser, Pearls & Pumps, has been the first sign of spring fashion for years, but this is the first time it’s taking place at the recently renovated Marriott Downtown, with its mezzanine lounges and chic bourbon-themed décor. You can expect the new digs to translate into new energy, a bigger crowd and more hats, local fashion and style ideas at this always-packed event. This year’s theme-- #Empowering Strong Women— promises to boost your spirits along with your wardrobe. So, don’t miss out. Call your friends and get your tickets now. We’ll see you there. The Baptist Health Pearls & Pumps #Empowering Strong Women fashion show will take place on Saturday, March 16, at The Marriott Downtown from 11:00 A.M to 2:00 P.M. Individual tickets are $100 and tables seat eight. For more information on sponsorship opportunities or to purchase tickets, visit pearlsandpumps.org.